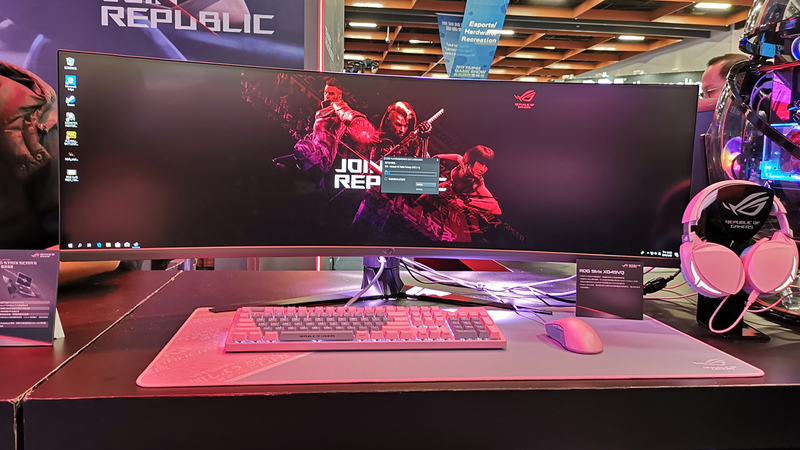 ASUS Strix PNK LTD paired with their crazy ultra-wide curved monitor! Fire gadgets incoming, better hide your wallets! Ahead of its planned January 29 launch, we got to check the RTX-powered notebooks at the Taipei Game Show 2019. 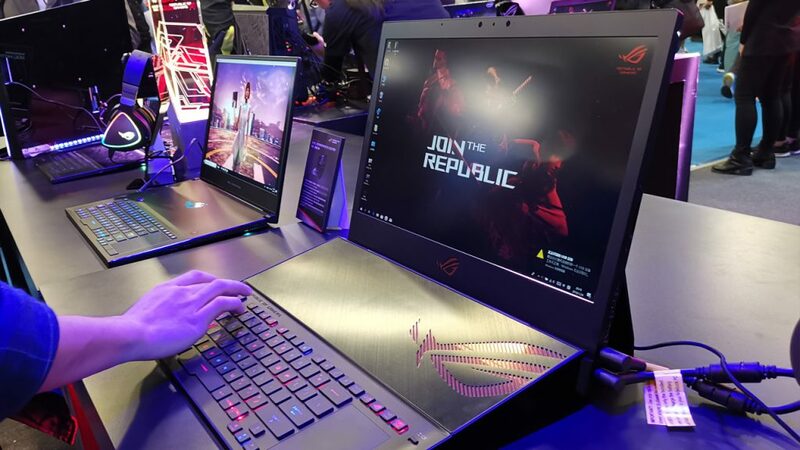 On January 25, during the first public day of the annual games convention, the massive ASUS ROG booth showcased the entire RTX line on the show floor. These powerful machines were first revealed during the Consumer Electronic Show (CES) earlier this year in Las Vegas to much success and praise from critics and personalities. 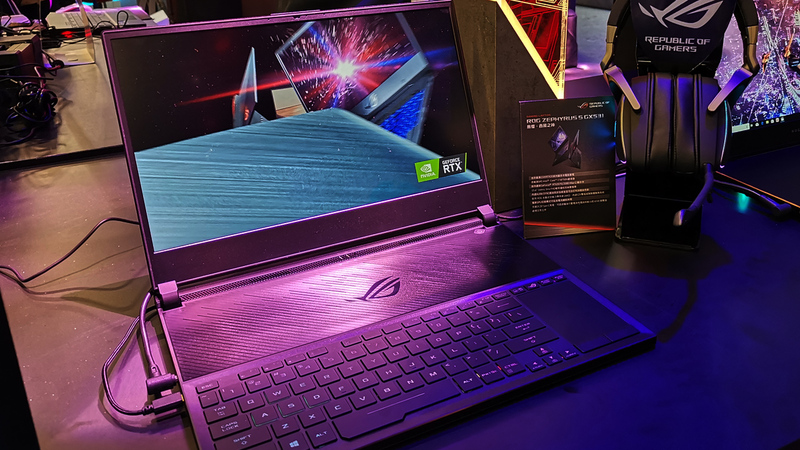 The unit that everyone on the show-floor flocked to was the ASUS ROG Mothership, a monster of a unit fitted with an RTX 2080 GPU. The Mothership can be dismantled and reassembled to suit your needs. While we couldn’t play with it as much as we’d like, seeing the gaming tablet/laptop hybrid in person makes me feel good about the brand’s future. There’s legit design involved and shows how innovation is at the forefront of the company’s thrust. Of course that doesn’t mean that older models won’t get the necessary upgrades. Everything from Scar and Hero 2 to the powerhouse GL703 and the powerful yet portable Zephyrus S will be getting the RTX upgrades. 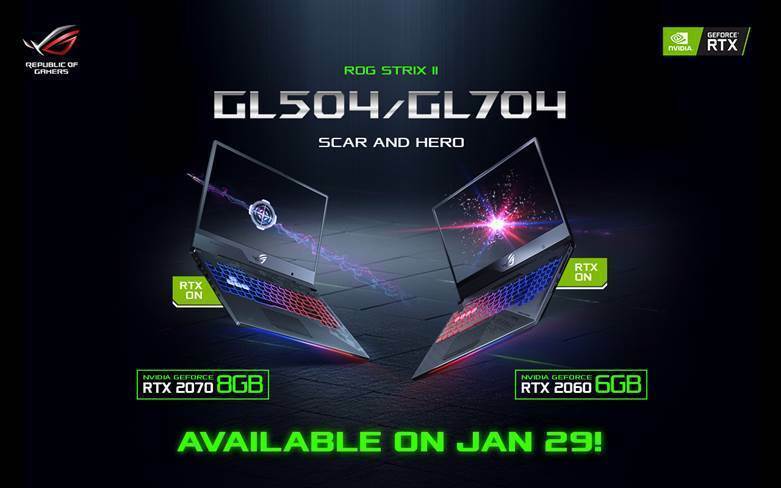 The RTX Scar and Hero II refresh models will first arrive in Philippine shores by January 29, 2019. The RTX isn’t the only thing on display at the showfloor. At the center of the booth one can find an array of peripherals donned in lovely pink and grey. 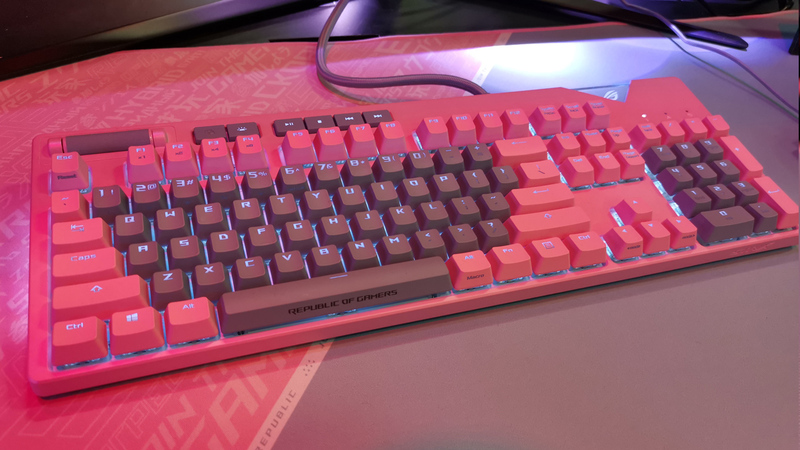 Yessir the famed Strix PNK LTD peripherals made its debut here in Taipei Game Show 2019. 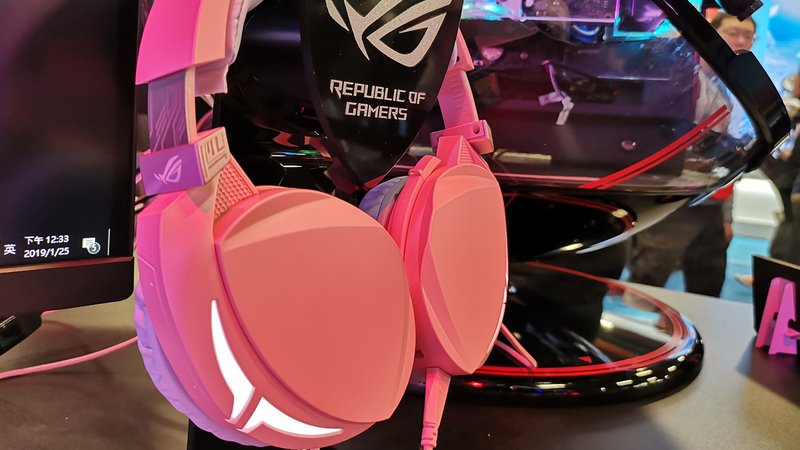 Ditching the usual black and red for a softer pastel pink, the Gladius II Origin, Strix Flare and the ROG Strix Fusion 300 PNK LTD edition will cater to those who want to break away from the usual gamer aesthetic. 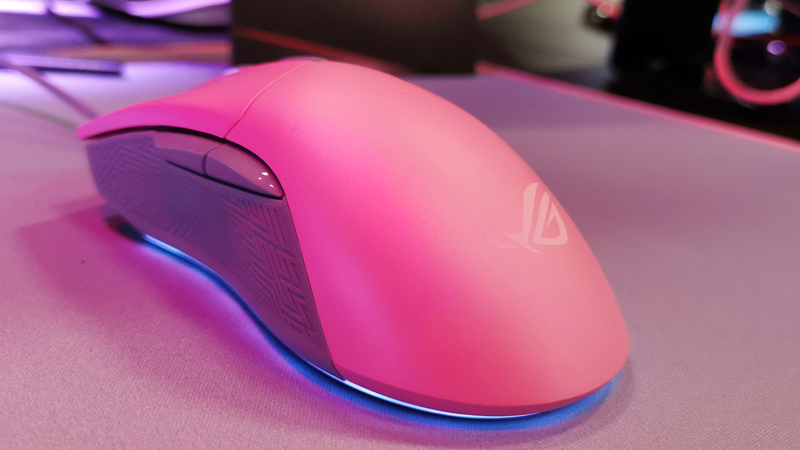 Aside from the new peripheral line from ASUS ROG, we also saw a couple of gaming accessories that would definitely fit your geek and gaming lifestyle. 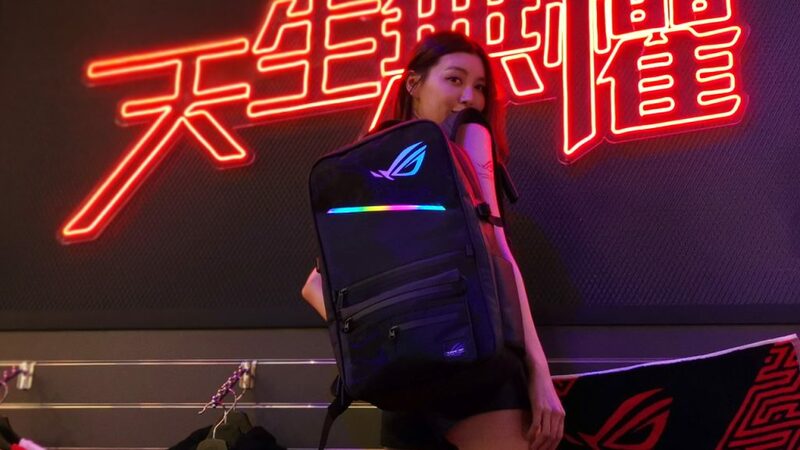 With the advent of RGB-everything, ASUS took it a step further and crafted an RGB Bag. Yessir, this bag lights up in pulsing RGB goodness! 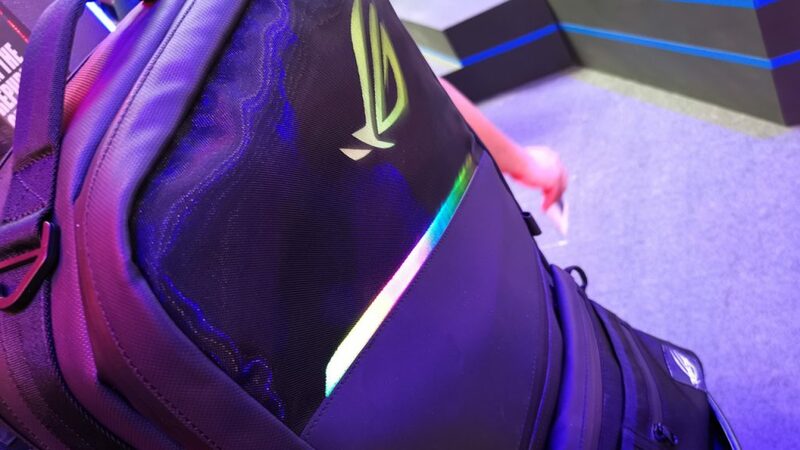 For those who think this a bit ostentatious, the ASUS ROG Ranger Backpack packs waay more than just some lighted (and might I say programmable) RGB lighting. For starter, the bag has a whopping 20L capacity for all carrying requirement. A separate compartment for the laptop ensures that your trusty unit gets the protection it needs and water-proof upper cause rain + gadgets = no, no. Oh and did we mention that the bag “lights-up” from the inside as well so you can see the contents of your bag? 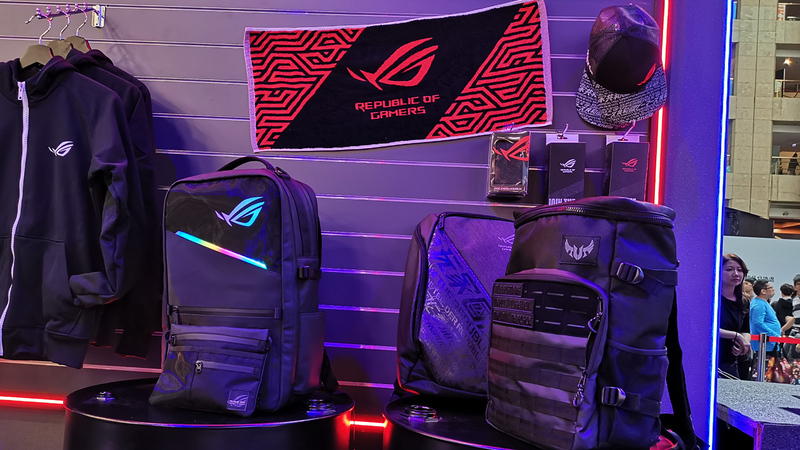 For those to show off your gaming stripes without lugging around a carry-on backpack, the ASUS ROG Booth at the Taipei Game Show offers a few suggestions. There’s an ROG Towel, ROG Tumbler, an ROG Card Carrying Case and, probably the one that I zeroed in on, the ASUS ROG snapback cap. The new design is apparently limited to Taiwan and sold out quite quickly. 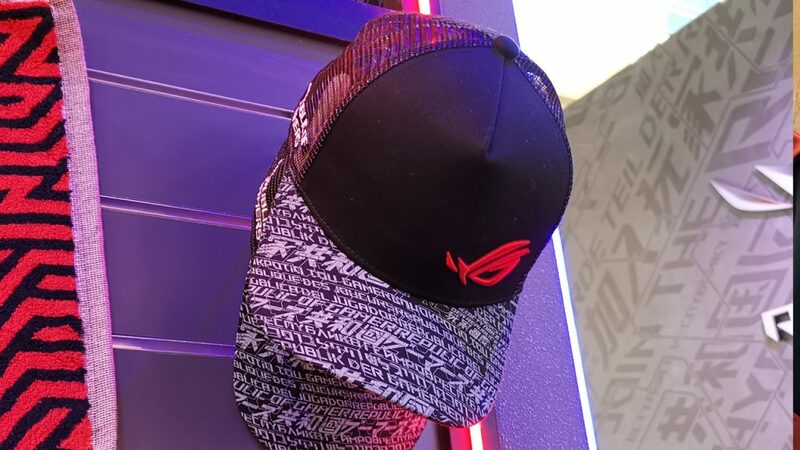 So, for true-blue ROG aficionados, the next time you take a trip to Taiwan, make sure to drop by the ROG concept stores around the city (there’s one in Syntrend) and nab yourself this street-wear inspired headgear. 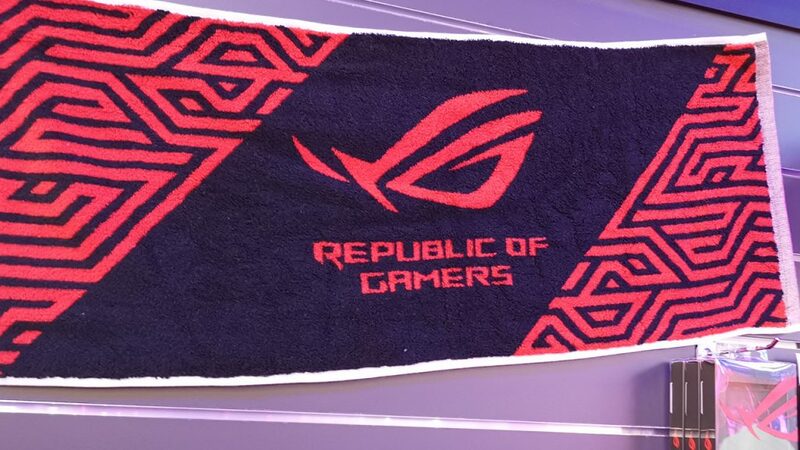 Overall, it’s great to see ASUS ROG having a huge presence in Taipei Game Show. For a convention that’s filled to the brim with various publishers and game developers, PC and components manufacturers rarely get any spotlight – except for this year, that is. 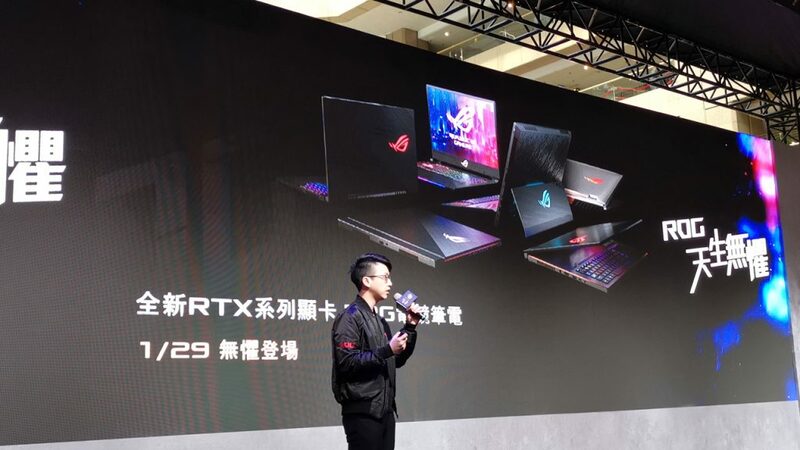 And with a strong opening for 2019, here’s looking forward to more tech innovations ASUS and ROG will bring in months to come!